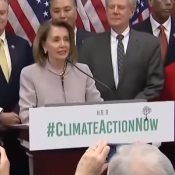 The Green New Deal may have failed in the Senate, but Democrats and even some Republicans are introducing legislation to address climate change, and the emerging targets can’t be achieved without some form of carbon pricing. That means the revival of an old debate, and possibly the resurrection of some old myths. Here are the old myths, together with findings showing why they belong on the scrapheap of alternative facts. ← Nature, Paid on Delivery: Is Pay for Success the Future of Ecological Restoration?